Chia, known today as the Pacific Asia Museum, was founder Grace Nicholson’s nickname for the Pasadena building that her ideas and research developed in 1924. The building was brought to life by a well-known local architectural firm, and became a center for the arts. Chia is a word with distinct meaning in two cultures closely associated with Grace, Chinese and American Indian. In Chinese the word means ‘sacred vessel’ and in American Indian it’s the name of a highly nutritious, life-sustaining seed. 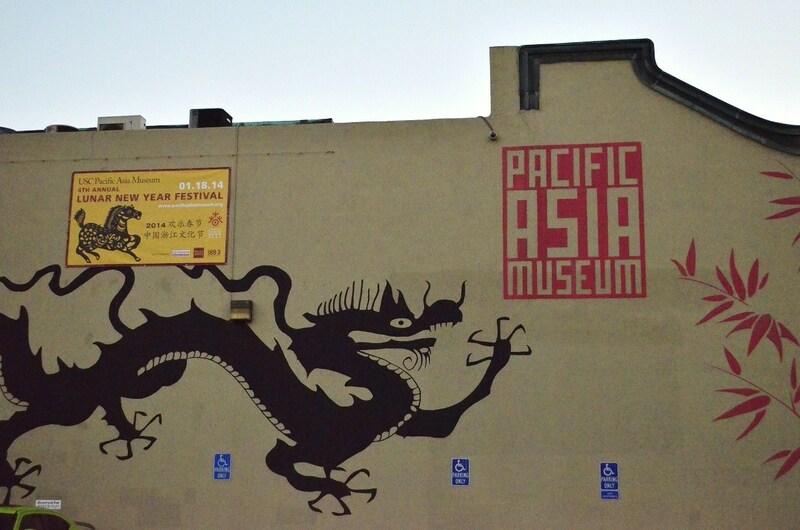 My quick visit to the Pacific Asia Museum, which recently partnered with the University of Southern California (USC), left me longing for more. I arrived just about an hour before closing, stopping by after my tour of the Gamble House, also in Pasadena. I’ll definitely be returning to the museum soon; the exhibits are fascinating and I had little time to fully appreciate them. The exhibit rooms are arranged around a central courtyard, and flow beautifully from one to the next. Loving fabric as I do, I was fascinated by the Ralli Quits, contemporary textiles from Pakistan. They’re just gorgeous! The gallery below highlights just a few of the many beautiful, interesting pieces in the museum. I was thrilled to see Netsuke on display, having learned about them during a visit to LACMA a few months back. Available in the Gift Shop! 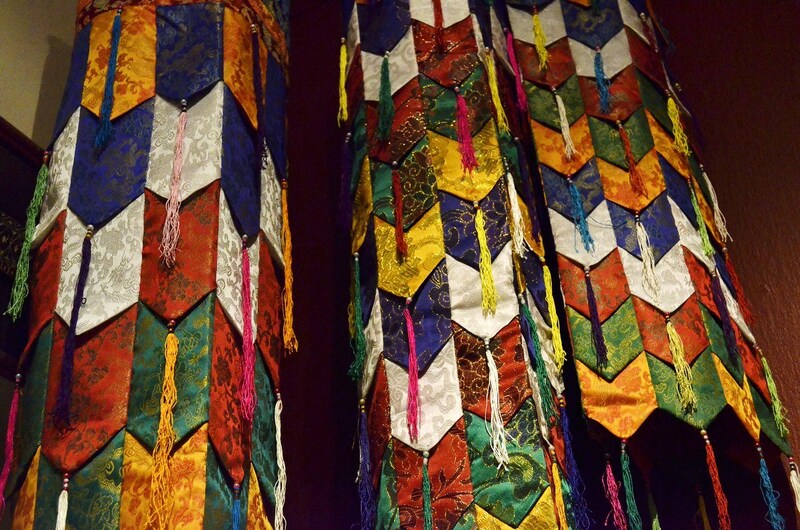 What a delightful look at USC Pacific Asia Museum! I was impressed that you knew about “Chia” as the name for the building. I would like to share this on the museum’s Facebook if that is OK with you. Re “Chia” – it was so interesting to learn about that, and what’s funny, I shopped at Mother’s Market yesterday and saw a box of cereal with Chia as main ingredient. Of course I had to buy it! The next time you and Kat visit the museum, please let me know and I will have guest passes waiting for you. Or (shameless plug here) come on Jan. 18 for Lunar New Year Festival for a full day that includes acrobats, hands-on activities, food trucks and the galleries and it is free! Pretty good images, and the way you have cropped the images in circles adds to the charm. Those quilts were certainly worth a look.